We did a Secret Santa swap this year at my school for the teachers for the first time ever. The National Honor Society kids organized it and told me that I was gifting for my sweet math teacher friend. She is a crocheter so I knew she would love something crafty in addition to some chocolate treats. So I found this adorable (and free!) Pi paper piecing pattern on Crafty from Stars & Sunshine. 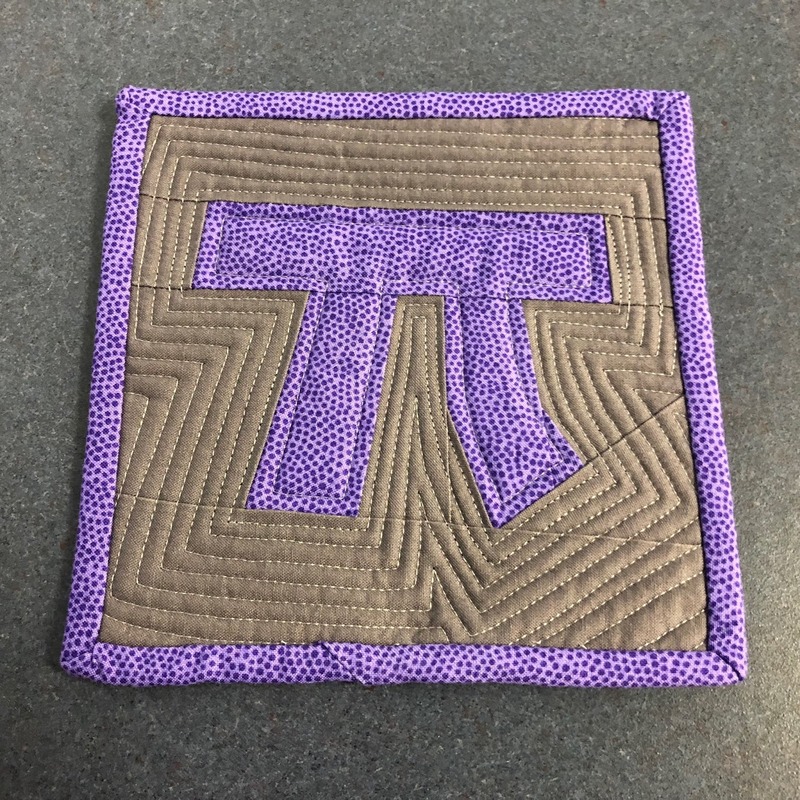 What math teacher wouldn't love a Pi mug rug??? This was actually my second paper piecing project and it's kinda got me hooked on pp! I chose purple because our school color is purple and I'm totally into grey as a neutral this year. Plus for a mug rug, I figured darker was better! 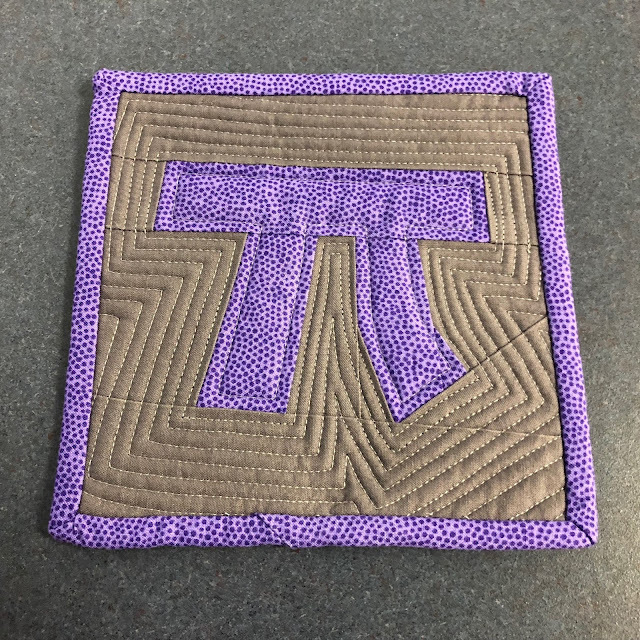 I enlarged the pattern by 150% and ended up with a 6.5" mug rug. I'm happy to say that she loved it! I'll definitely be doing more paper piecing in 2018!